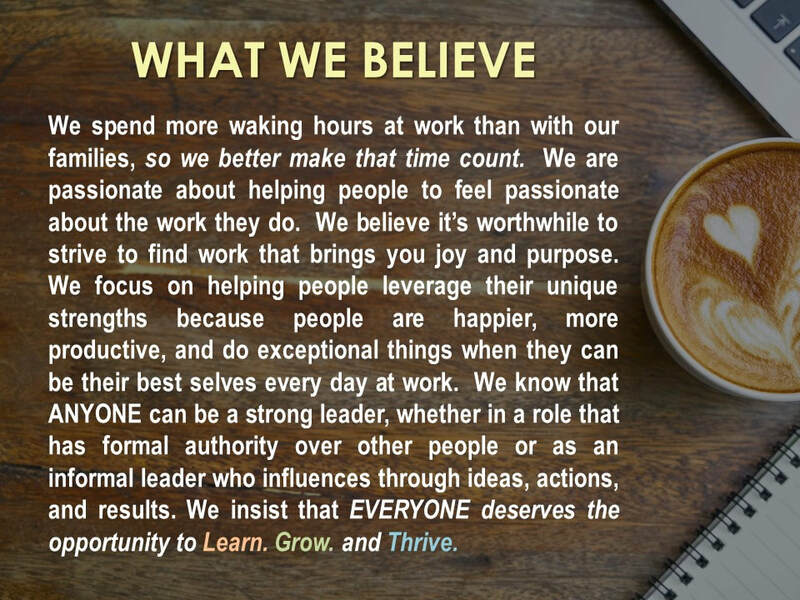 We are a team of leadership and organization development psychologists, business leaders, and social scientists who enjoy applying our collective expertise to help maximize leaders' potential, create high-functioning and engaged teams, and people-centric organizational cultures. We are nerdy, but fun. creating extraordinary leaders and workplaces. We recognize that leaders and organizations that put people and service at the center of everything they do create an environment that nurtures relationships, encourages growth and development, fosters innovation and creativity, and inspires and motivates employees to excellence. We know that when people love where they work and who they work with, they are more committed to the organization and the team's goals, are more productive, provide more discretionary effort, have more satisfied customers, and are less likely to leave the organization. We prescribe to the notion shared by organizational culture guru, Edgar Schein, that "leadership and culture are two sides of the same coin;" therefore, organizations that want to positively impact their culture, invest in their leaders. We believe in leveraging and building upon the strengths leaders, teams, and organizations naturally possess. We have seen leaders benefit from participating in purposeful developmental activities to gain insights into their strengths, opportunities, and values, and make structured and targeted changes to increase their leadership effectiveness. We are positive that our team of highly skilled experts will help you to achieve your leadership, team, and organizational goals. We not only work to create great leaders who do great things, but we aspire to that goal ourselves. 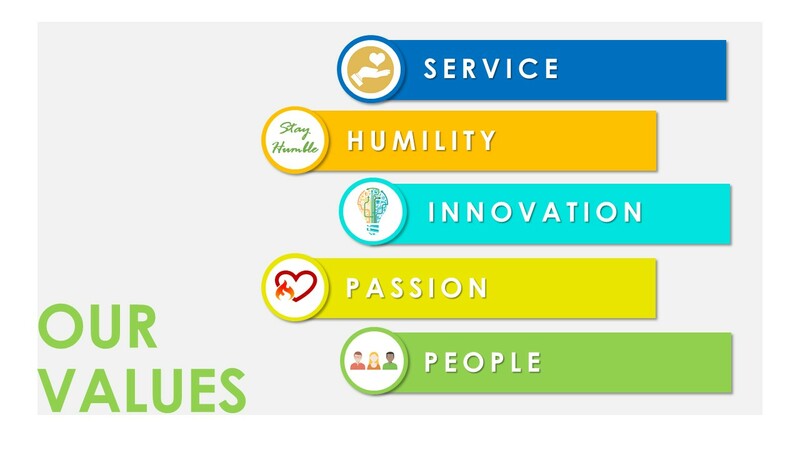 Our values are at the core of what we do and who we are. Service: We know that we are here to serve others - our clients and the community. Humility: We approach our work not from the point of view as experts and advisers - because we know that our clients know their industry, organization, and themselves best - but as scientists, experimenters, and lifelong learners. Innovation: We hate the saying "if it ain't broke, don't fix it." And not only because we are grammar nerds (and love the Oxford comma by the way). But because we are by nature inquisitive and entrepreneurial, who love to learn, create, invent, and pioneer. We live for continuous improvement, to solve problems, and do things better. Passion: We are passionate about helping others feel passionate about the work they do everyday. We know that if you are passionate about what you are doing, you give your all, you produce great results, and are engaged and happy doing it. People: We are a people-centric organization. We help our own team learn, grow, and thrive, and we know that leaders and organizations who do the same achieve extraordinary results. We understand the bottom-line is important. We know they way to have a lasting impact on it is to put people first.